Schools off on Monday, January 21 and we have just the programs to get your kids out of the house! Drop your kids off for 90 minutes (or more) of Minecraft play. Each session is 90 minutes long, $25 (non refundable). Sign up for one or both sessions. 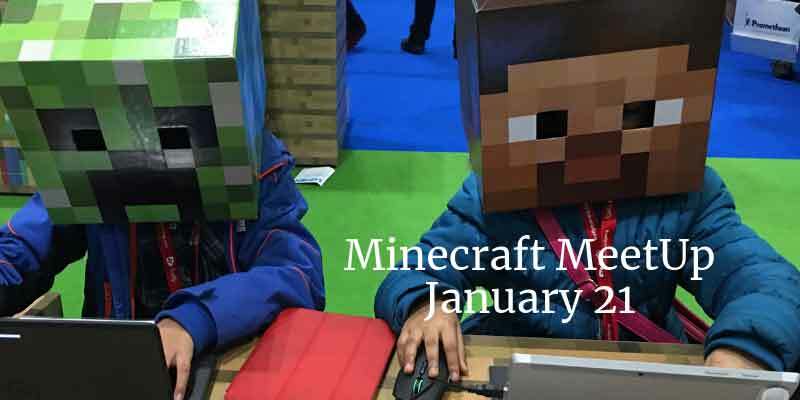 We’ll have the kids vote on the Minecraft map for each of the sessions and include a little bit of player vs. player at the end.